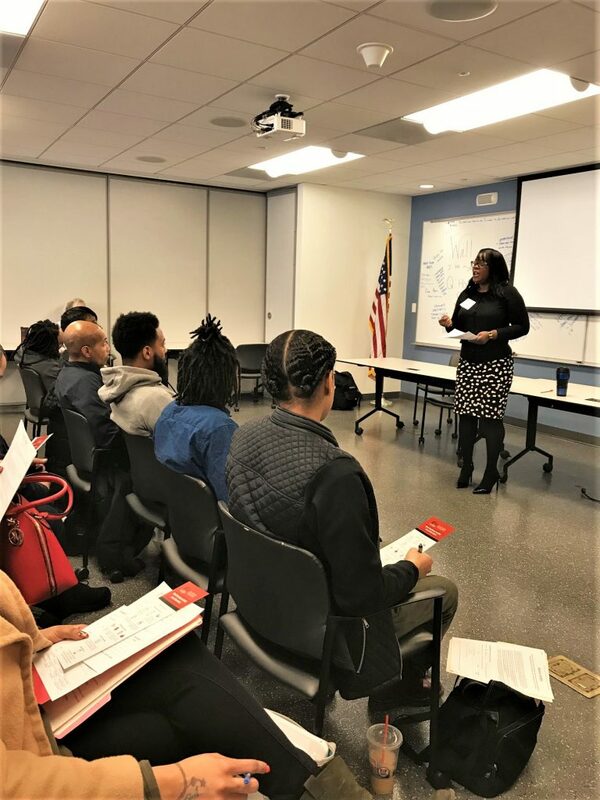 Thanks to strong support provided by the DC Department of Employment Services (DOES), the AOBA Educational Foundation interviewed 20+ ready-to-work DC residents on March 22 for potential employment in building operations. The successful Career Day included employment counseling by DOES Program Analyst Clayton Witt; a presentation on interview tips by Borger Management’s Director of HR, Stacy Williams; and an overview of building industry career opportunities by AEF’s Executive Director Marc Fischer. AEF staff reviewed resumes, interviewed and videotaped each candidate. Staff will followup regarding potential employment and/or recommendations for additional training. We are pleased to report that several individuals interviewed at this event who are seeking immediate employment will be connected directly to AOBA member companies, and several may be candidates for the summer 2019 paid internship. Questions about the candidates? Contact AEF Workforce Development Manager Shara Kurcz.